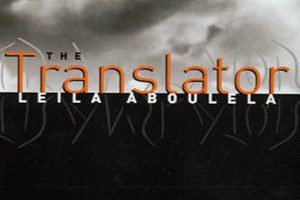 Leila Aboulela’s novel The Translator is a refreshing read about a Muslim woman neither struggling to live life according to the mini skirt or battling against an arranged marriage. Instead it’s about she falls in love with a non-Muslim and how she reconciles with that. Samaar, Aboulela’s protagonist, is a widow who has left her young son in Sudan with her mother in law while she herself comes to Scotland. Another writer might have mined this parent/child dichotomy and explored what sort of a woman-mother can leave her child, and is she a good mother, or mother at all etc. Thankfully Aboulela does not go that way. Instead, the reader is forced to contend with a woman who sees herself not as a mother first, but rather as a Muslim, a Muslim woman who has a life other than her son, and who makes no apologies for it. Moreover, when Sammar does meet her son, there are no weary scenes of the ‘you abandoned me, and I’m damaged, and now will need therapy for the rest of my life.’ Instead he’s grown up happily with his grandmother and cousins and extended family and loves his mother well enough. Refreshing. As is Samaar who lives by her religion so much so that although she can fall in love with Rae, a non-Muslim, her conscience allows her to go no further; yet further Samaar does go, and Aboulela handles this part of the narrative with great emotional dexterity. I also very much enjoyed the quiet flow of the prose, the descriptions of Scotland, the small minded comedy around a communal phone, and the everyday details of translating for a Middle East scholar. I did, however, think the ending a bit hurried, and Rae’s eventual decision not explored to the depths required to make it seem natural. Also, sometimes, Samaar comes across as a bit too desperate to get married/settle down/not be alone for the rest of her life. For all that The Translator is an excellent read, and a soothing read, a wonderful alternative to all the conflicted immigrant, East-West confusion novels.